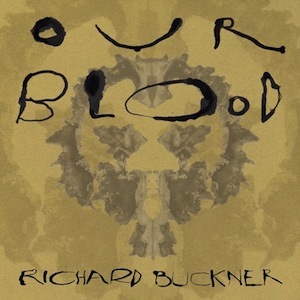 It’s been about five years since Richard Buckner has released an album. It’s not that he hasn’t tried, as he was tapped on the shoulder for a film score and started recording Our Blood a few years back to follow up on the highly acclaimed 2005 album Meadow. If you’re just catching up on the past, Buckner has had quite the successful run as a singer songwriter, releasing nine albums since 1994 and his song “Since” appearing in the Volkswagen commercial for their oversized Toureg. Our Blood keeps in genuine step with Buckners former releases, offereing a sweet sensibility to carefully crafted poems. At times it feels as if his voice might break or crack on the album, yet it doesn’t. It’s for the soft and easy, the pensive and thoughtful listener who cares about the lyrical content of what they’re listening to. If you’ve been waiting for an album to pair with a mellow evening, a bottle of red wine or a ‘clear your head’ sort of soundtrack, Our Blood is definitely one of 2011’s must haves.